Glassjacks - Glassware Storage Boxes and Glassware. Why not purchase your glassware and glassware storage boxes together? 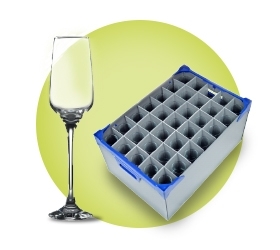 Our full range of glassware complements our comprehensive range of glassware storage boxes (glassjacks). Glassjacks (glassware storage boxes) will pack and protect, transport and stack all of your glassware safely and securely. If you are unable to find what you are looking for please email us info@glassjacks.co.uk and we will supply you with the glassware and glassjacks you require.